Subsequent to today's cabinet reshuffle 5 new ministers have been appointed to parliament. The previous cabinet including the premier consisted of 50 Ministers. The number of cabinet ministers at present stands at 55 subsequent to Ministers Lakshman Yapa Abeywardhana, Duminda Dissanayeke, Jayarathna Herath, Vijith Wijayamuni Soysa & Basheer Segudawood being sworn in as ministers. With the inclusion of the 10 Senior Cabinet Ministerial portfolios & two project ministers the number of government party cabinet ministers has been increased to 67. According to today's cabinet reshuffle Minister Anura Priyadharshana Yapa was sworn in as the new minister overlooking the operation of Petroleum & Petroleum resources while Minister Susil Premajayantha was appointed the new Minister of Environment. 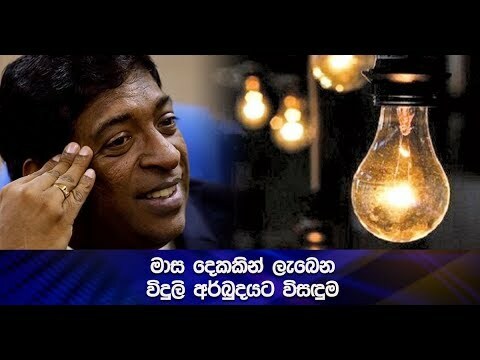 Meanwhile minister Patali Champika Ranawake has been appointed the new Minister of Technology & Research while Pawithra Wanniarachchi has been appointed Minister of Power & Energy. Moreover Lakshman Senevirathna has been sworn in as the new Minister of Sugar Industries while Lakshman Yapa Abeywardhana has been appointed the new Minister of Investment Promotion. Jayantha Hearth meanwhile has been appointed as the Minister of Botanical Gardens & Public Recreation. The days cabinet reshuffle also witnessed Duminda Dissanayeke being sworn in as the Minister of Educational Services while Basheer Segudawood was appointed the New Minister of Productivity Promotion. S.M. Chandrasena & M.L.A.M Hezbollah were appointed as Deputy Ministers of Finance while Faizer Musthafa & Susantha Punchinilame were sworn in as Deputy Minister's of Investment Promotion. Also during today's cabinet reshuffle Abdul Cader was sworn in as the Deputy Minister of Environment while Sarath Kumara has been appointed the Deputy Minister of Fisheries. Minister of Power & Energy Pavithra Wanniarachchi expressing her views to our news team made the following clarifications regarding her future plans for the ministry. Meanwhile Minister of Investment Promotion Lakshman Yapa Abeywardhana also expressed the following views to our news team. Minister of Wild Life Preservation Vijith Vijayamuni De Soysa meanwhile when contacted had this to say.